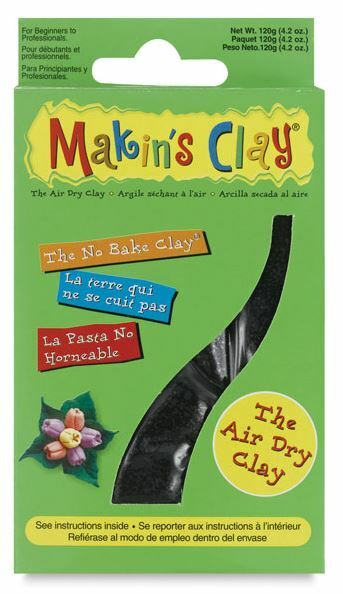 Makins Clay is an air dry Polymer Clay that requires no baking. 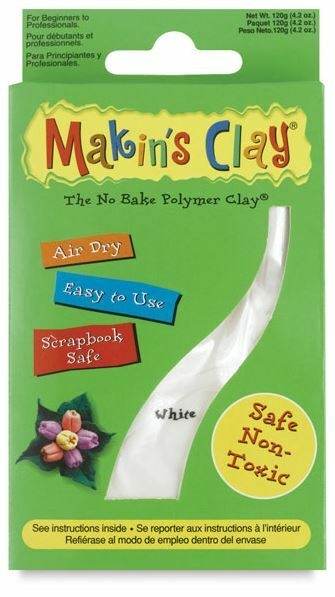 Makins Clay can be combined with plastic, styrofoam, wood and most paper. It is acid free, completely safe and contains no PVC (polyvinylchloride). It is certified non-toxic, and conforms to ACMI-AP safety and quality standards. It is safe for children age three and older.